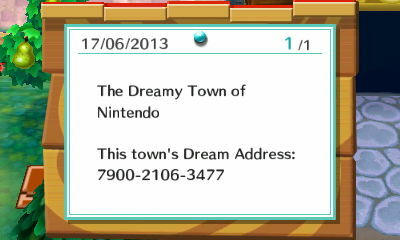 Nintendo town is a nice calm little village, very nicely put together by a player of the same alias. 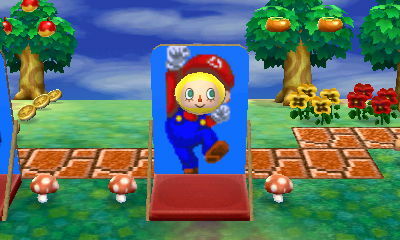 This player has quite clearly spent some time and effort on his town and, you know what, I really enjoyed his town. The theme was fairly obvious but walking around the town it wasn’t over powering. This player had several picture boards all very well designed. They were dotted around his town so you had to explore to find them. 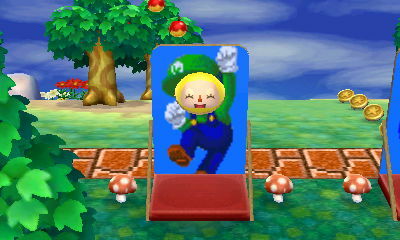 Mario and Luigi were situated alongside themed costumes and some mushrooms which the player had thoughtfully left for the dreamer to go wild with. The Pikmin board had all three Pikmin hats to try on! 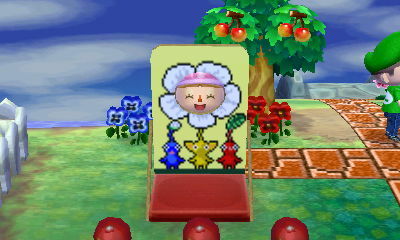 Nintendo has lots of flowers and colour, both of which I love towns to be full of. It was a jolly walk through memories of playing Zelda, Pikmin and Mario as a child. Would recommend! Unless you’ve been living under a moss-covered rock in a dank cave in the middle of the Himalayas, you may have noticed that Nintendo released one of its most anticipated games in the UK last month: Animal Crossing: New Leaf. 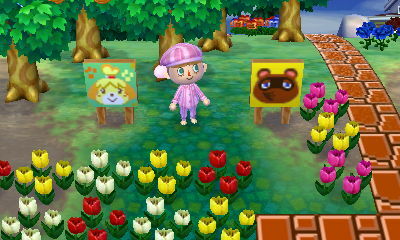 This obscure game sees you play major in a town where all the villagers are… yes, you’ve guessed it… animals! It is a charming and endearing game loved by many people around the globe. In this latest installment in the series a new function has been added: the Dream Suite. 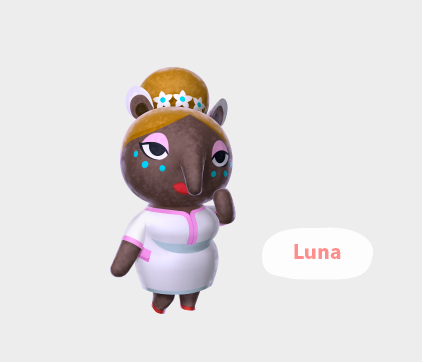 In a little building on the high street lives a kindly tapir named Luna who, for the mere sum of 500 bells, will allow you to visit other players’ towns in a dream. This may not seem extremely exciting as you have been able to visit other players’ towns via wifi and local connection since Animal Crossing on the original DS. However, this feature allows you to visit someone’s town without having them registered as a friend on your 3DS, which for some people is a blessing. 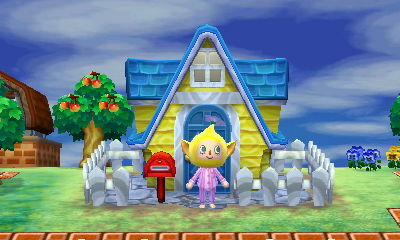 You can access a town by telling Luna the Dream Address (a unique code assigned to each town) of a town you want to visit, by searching via country, town name or player name, or you can leave it up to Luna to pick a town at random. There are some differences between visiting a dream town as opposed to visiting the same town via wifi or local connection. In the dreamworld, you cannot affect the person’s town in their game. When visiting via wifi or local connection, if you cut down all the player’s trees, they are gone in their game too; In the dreamworld, they are only gone in your dream, not in the player’s game. This is nice as it allows you to wreak havoc on an unsuspecting person’s town without ruining the game for them. Also in the dreamworld, you can’t take anything into the dream or anything back after the dream. 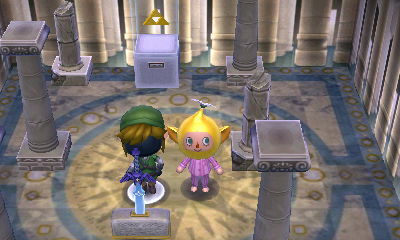 You can borrow tools for Lloid the gyroid in the dream if you like and some people design their towns so there are items for dreamers to play with, but these all disappear from your inventory when you leave the dreamworld. Some player’s really work on designing their towns so they are works of art or tell stories. Others just upload their normal town. Over the coming months I shall run a series called Kathy’s Dreamworld where I visit towns in the dream world and talk about them for your pleasure. I hope you enjoy! Update: The video has been redone and is now in glorious HD! 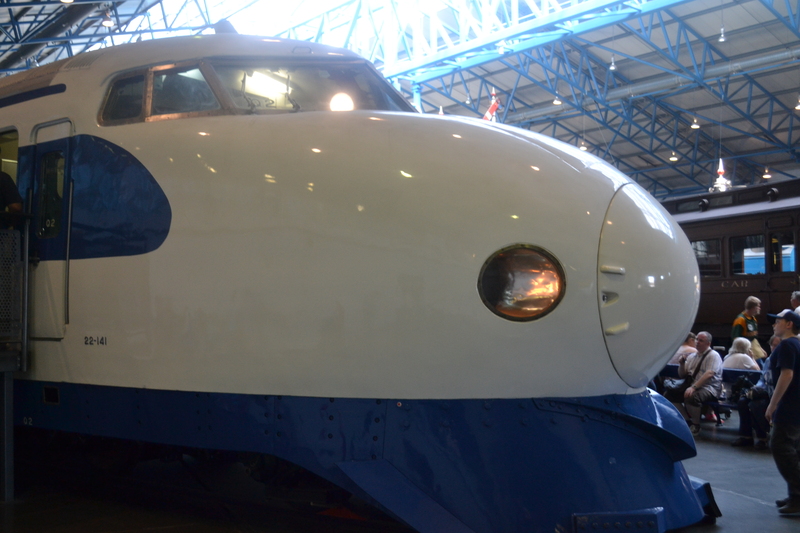 Ah, the National Railway Museum. I have held it in very high regard for a long time. I last went in the early 2000’s and so, this July was the first time I had been in quite a while. The multi-award winning Museum, owned by the Science Museum group is one of York’s and, indeed Europe’s, most popular visitor attractions. Holding over one hundred locomotives, the NRM has been capturing the essence of rail travel for well over thirty five years. 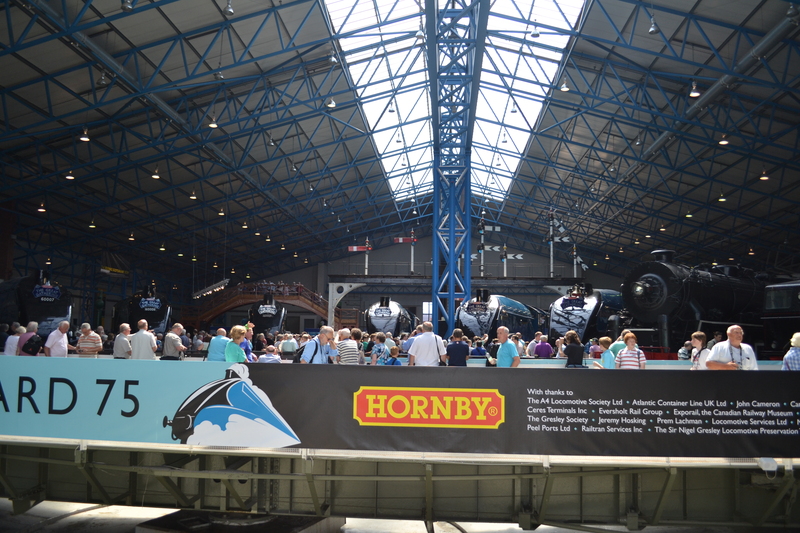 However, this year something special was happening, an event that the railway enthusiasts had been looking forward to. Amongst them was me. 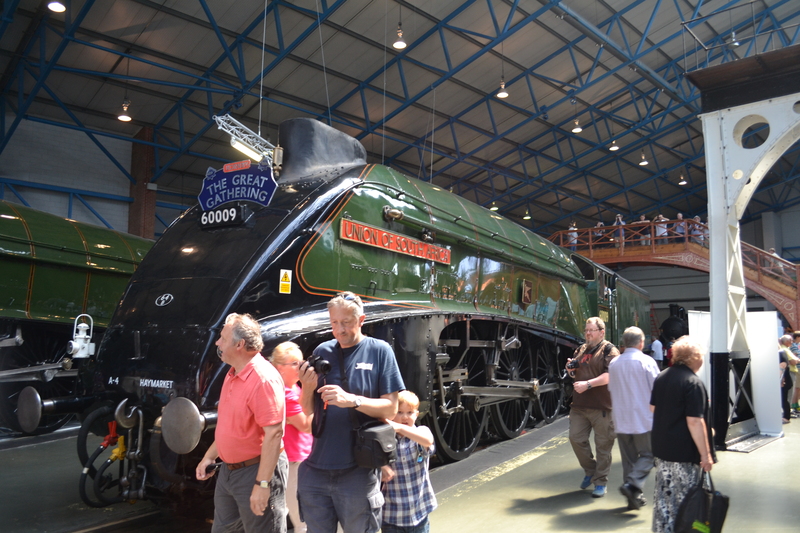 The event was of course the celebration of the record breaking run for steam locomotion – Mallard 75. In the1930’s, railways were owned by one of four big companies. LMS focused on the routes from London to Scotland via the midlands; GWR – The Great Western Railway – took people and goods along the West of England and Wales; The Southern Railway crossed the South of the country; and finally LNER, the London Northern Eastern Railway took trains up the east coast from London to Edinburgh. These companies were constantly trying to outdo each other on luxury, comfort and reliability; the more reputable company got more customers and more customers made a better company and a better railway. In a country where the motorway was just a spark-in-the-eye and even the road network was just starting to take shape, the railways connected the big cities to each other and so, if you wanted to get somewhere quickly, the railways were the only readily accessible way to travel. However, there is one thing that sells any mode of transport more than anything else, and you see this with cars, planes, and boats. Trains also follow this rule; speed. LNER had a record of speed runs from London to Edinburgh with the Flying Scotsman, the route through east of England taking a train from Capital to Capital in just over seven hours, which in the 1920’s was the equivalent of Concorde taking flight over the Atlantic. LNER’s A3 Pacific Class No. 4472 Flying Scotsman reached a top speed of 100mph on a non-stop run to Scotland. 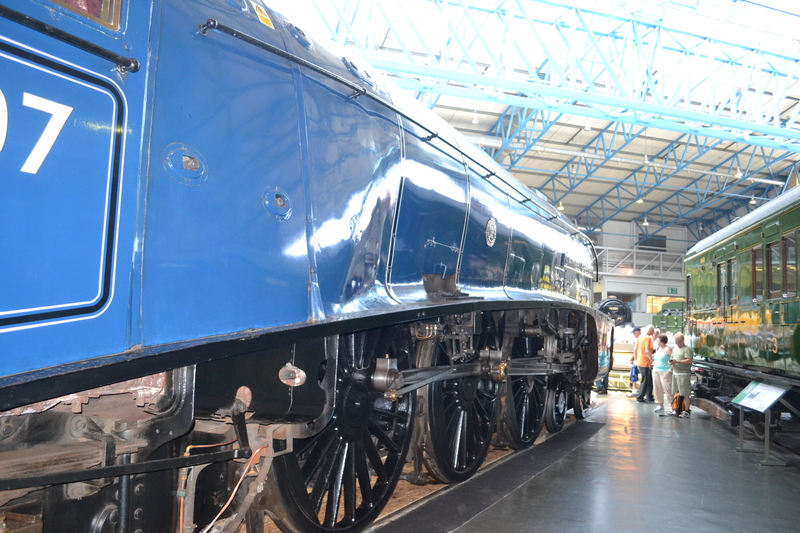 LNER and their chief engineer Sir Nigel Gresley knew that they could go much, much faster. LNER and Gresley started experiment with streamlining and eventually the superfast A4 Pacific express engines were created. One of which was No. 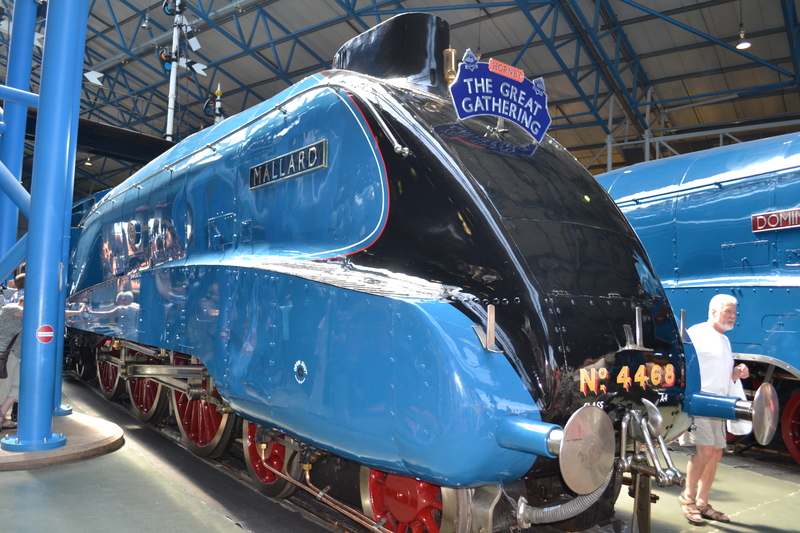 4468 Mallard – the fastest steam engine the world has ever seen. July 1936 was when Mallard ran non-stop and broke the speed record of a huge 126mph, which in the 1930’s is practically warp speed, a record that has remained unbroken to this day. To put this in perspective, 125mph is the official speed limit today on modern railways. 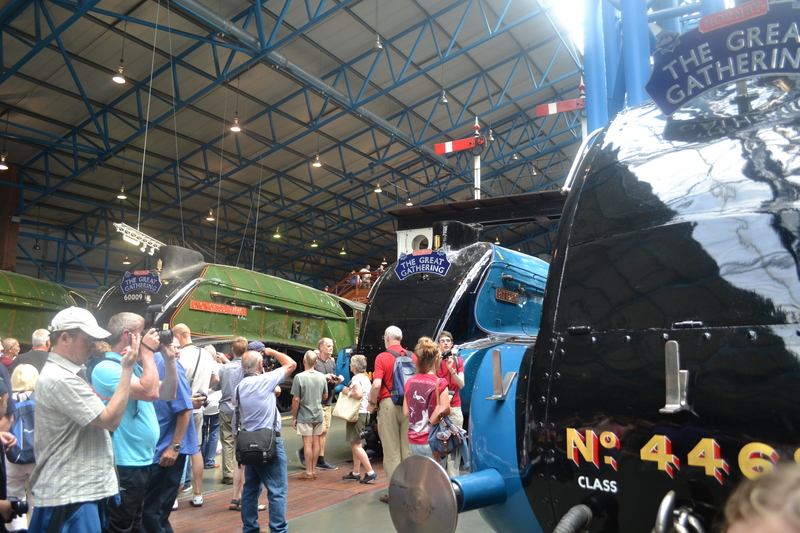 Mallard has been on static display at York’s NRM for a number of years but for Mallard 75 she was joined by some special guests. …whilst Dominion of Canada normally lives in Quebec. Both of these live half way across the globe and so the museum had commissioned to bring these engines back to their country of origin. All engines were then repainted with fresh coats of paint putting them back into LNER’s Garter Blue or British Rail Green. The build-up was hyped by the NRM on Facebook and Twitter showing extensive details in bringing these engines back together including the shipping of the two over-seas additions; newspapers published special articles and enthusiasts could not stop talking about it. 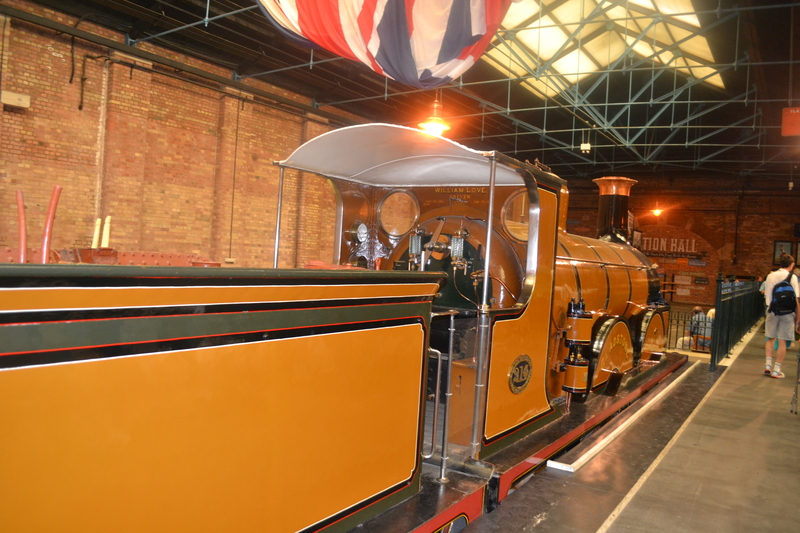 In early July the engines where shunted into place and went on display in the Great Hall around the turntable and the museum was opened up to the public for the extravaganza. And I was part of it! The events cherry on the top moment was a visit from HRH Prince Charles, who is patron of Mallard 75. He was bought straight into the museum by a special train pulled by Bittern as part of the end of the two week run special event. The Museum gives the public a window of heritage of railways and an opportunity not to be missed, something that lacks in this modern era. Today, rail travel isn’t the way it used to be. The romance of rail travel helped people get out of their home towns when the car was not readily available and a lot of travellers became holiday-makers. The thought of waiting at a station for your holiday to begin must have been exciting, only for your attention to be diverted by a long blast of a steam whistle and a cloud of thick smoke to appear at the end of the platform for a giant iron horse pulling coaches to emerge from it hissing and spitting with heat, steam and the undeniable aroma of burning coal. 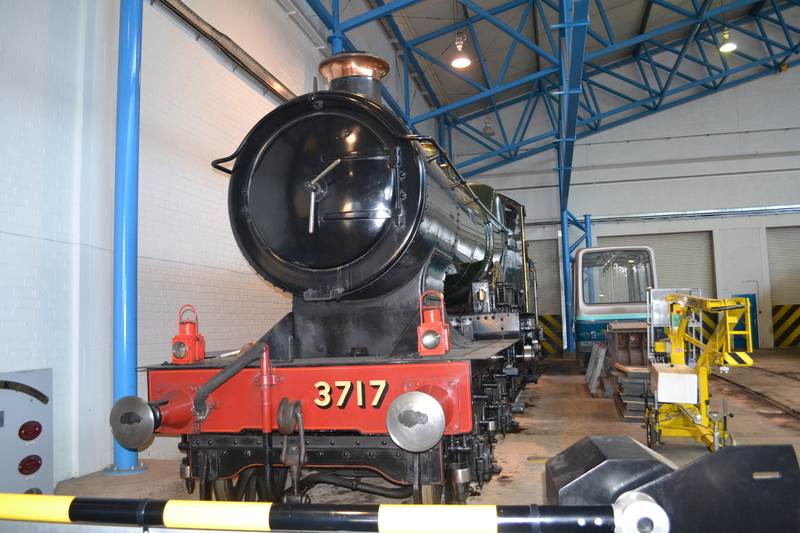 The Railway Museum encapsulates everything that made the railways what they were. 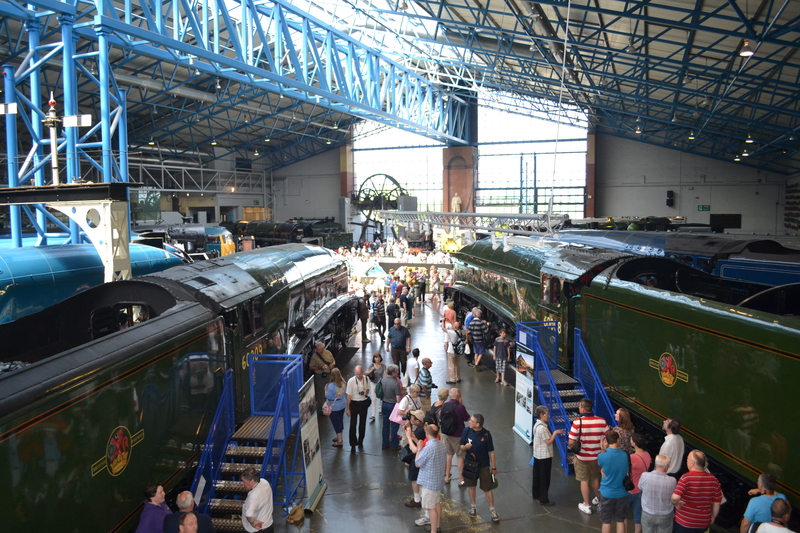 Their collection is impressive, and even though a lot of York’s collection is currently at its sister museum ‘Locomotion’ in Shildon in County Durham for Mallard 75 to make room for the A4’s, there is still plenty to see and do. Take for instance the Station Hall; the part of the museum that has been recreated to look like a station terminal, housing Royal coaches used to carry members of the Royal Family up and down the country. One of which is London, Brighton and South Coast Railway B1 Class No. 214 Gladstone which pulled Queen Victoria’s Diamond Jubilee train in in 1897. …and the last steam engine, 92220 Evening Star, ever built by British Rail before steam was removed from service and replaced by more efficient diesel and electric engines in the sixties. Not forgetting engines from over shores such as the mammoth China Railway’s KF 607 and Japan’s Shinkansen 0 Series, famously the original Bullet train that travelled at well over Mallard’s 126mph but only just at 140mph. There’s a lot of history between the walls and on the rails of NRM and due to the Great Gathering of the A4’s, the popularity of the museum increased. The museum isn’t particularly big, you can see most of the exhibits in less than three hours or so, it just depends on how interested you are in the exhibits. There’s a second replica Rocket that runs people up and down a small track layout; as well as a huge collection of railway paraphernalia such as model engines, signals, nameplates and general objects; a working model railway (Hornby, the model railway manufacturer sponsors Mallard 75); a miniature railway and the biggest archive of railway records in the country. When I went, with my family and Kat, it was almost a double edge sword. It was fantastic to see these remarkable feats of engineering but everyone else also wanted see them. People had come from all around the world to see these engines and so the queue was long on a very hot Saturday morning and the people made it all the more warmer in the museum, but that aside, the museum still retains its charm that won me over when I was a kid. Going around, looking at all these engine thinking that once upon a time, these were the life-blood of the country. 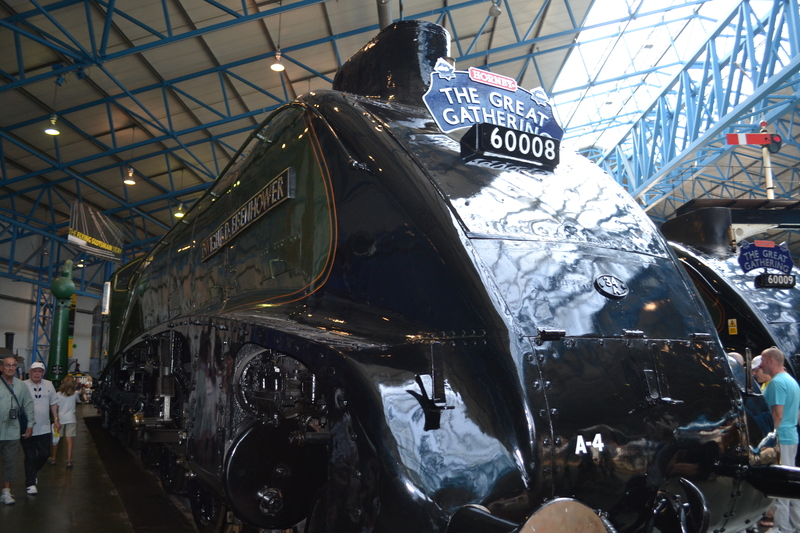 I remember seeing Sir Nigel Gresley pull a special train through my home town of Lincoln when I was much younger and the museum bought me into touching distance of something that defined my childhood. With this, comes a great deal of longing. I understand why diesels and electric engines came about and phased out steam but I get the sense that the railways will never be the same as they were. I find this quite odd because I never grew up in that time yet I still feel highly moved by the ingenuity and sheer power of a steam engine. 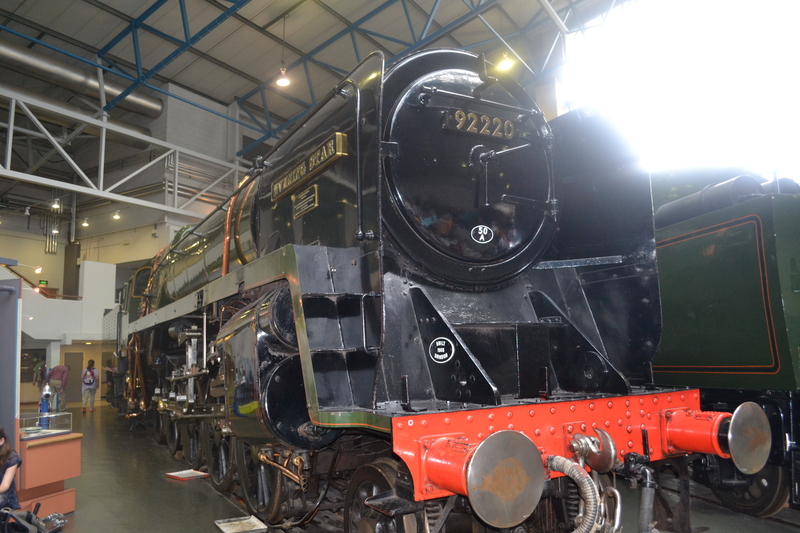 York’s National Railway Museum keeps all those memories in one place for me and many others. I could sense that all the people at the museum that day and no doubt the other days had a wistful glint in their eye of what once was. I know trains and railways aren’t everyone’s cup of tea in much the same way certain museum pieces such as cars or art or weapons of torture aren’t, but the National Railway Museum is, like I said, one of York’s biggest tourist attractions. This incredible museum is free and is run extensively by friendly volunteers. Facilities wise, there’s café’s in the Great Hall and Station Hall so you can have a coffee in the presence of some engineering heavyweights and two gift shops should you need to buy a NRM fridge magnet, like what I did. 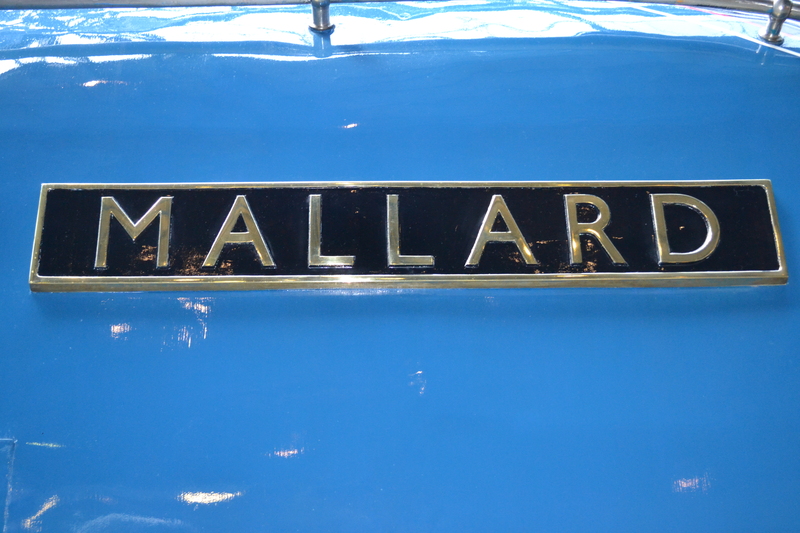 Fortunately, Mallard 75 is still running up until February 2014. The engines are to go back on display in the autumn at York with special night time celebrations coinciding with the ‘Illuminating York’ event where the engines will be lit up around the Great Hall’s turntable. They will then travel to Shildon to be put on display for two more weeks. The six A4’s will disband after the ‘Great Goodbye’ before the end of February. Another event of interest to me is Grantham’s ‘Festival of Speed’ where Mallard will be taken and shown off with various sports and racing cars of the 1930’s this September. Expect an extensive report on that! And so with these locomotives that surrounded the Great Hall, the Station Hall, the Workshop and in the nearby sheds and indeed in Shildon, the museum help preserve and epitomise what was great about this countries rail network. York is a beautiful city and its greatness is excelled by its history, mystery, heritage and, for me, its National Railway Museum.